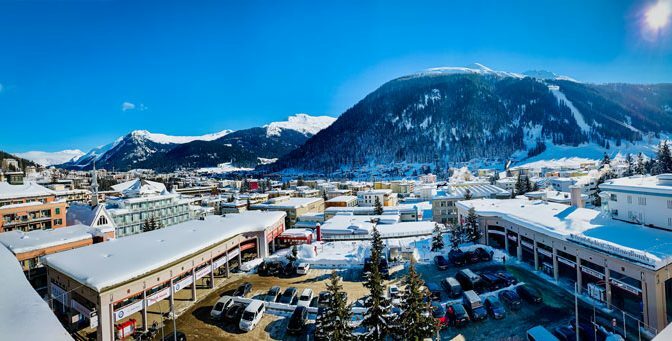 When the world’s leading thinkers, business titans and government officials converge every year in Davos, there’s no shortage of interesting conversation to be found. This past January, however, the conversation had a bit more buzz to it, and the reason: cannabis. 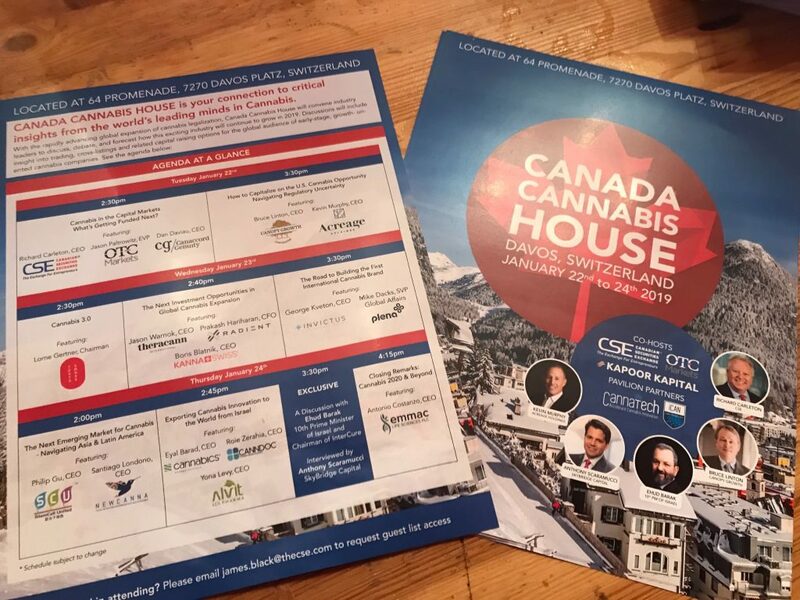 This year, the Canadian Securities Exchange, along with KAPOOR KAPITAL and OTC Markets, co-hosted the first ever pavilion in Davos dedicated to cannabis called Canada Cannabis House. 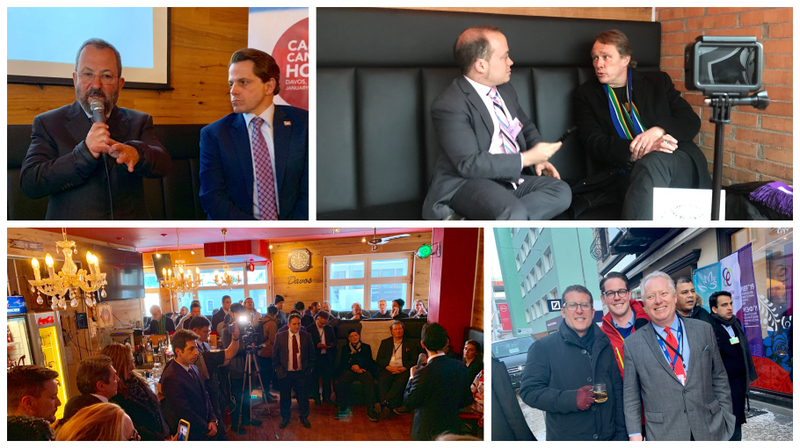 Nestled in the heart of central Davos, Canada Cannabis House brought together cannabis industry leaders from around the world to discuss, debate, and offer insights on how this exciting industry will continue to evolve in 2019 and beyond. While there is undoubtedly a lot of active discussion taking place about legalized cannabis in Canada and US, coming to Davos also revealed how truly international the interest level is. “I think I’ve learned, more than anything else, just how global this topic is,” remarked Jason Paltrowitz, Executive Vice President of OTC Markets Group, during a conversation with James Black, the CSE’s Vice President of Listings Development. An example of one of the many events that generated the most buzz around Canada Cannabis House was Anthony Scaramucci’s interview with Ehud Barak, the former Prime Minister of Israel. 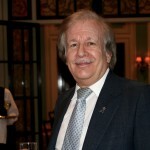 Barak, the current Chairman of the Israeli holdings company InterCure, is known for being a proponent of medical cannabis, and is a central figure in discussions currently surrounding that industry in Israel. 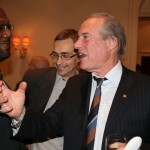 The excitement generated by having a former head of state paving the way towards new cannabis programs in the country he once lead was echoed by the other industry leaders that visited Canada Cannabis House. The expansion of cannabis to a global scale was another much-discussed topic in Davos. Indeed, taking the cannabis story to the global stage in Davos was a gamble. 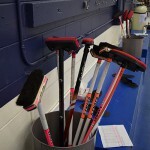 “There’s still a little bit of stigma attached to the industry,” stated Richard Carleton, CEO of the Canadian Securities Exchange. 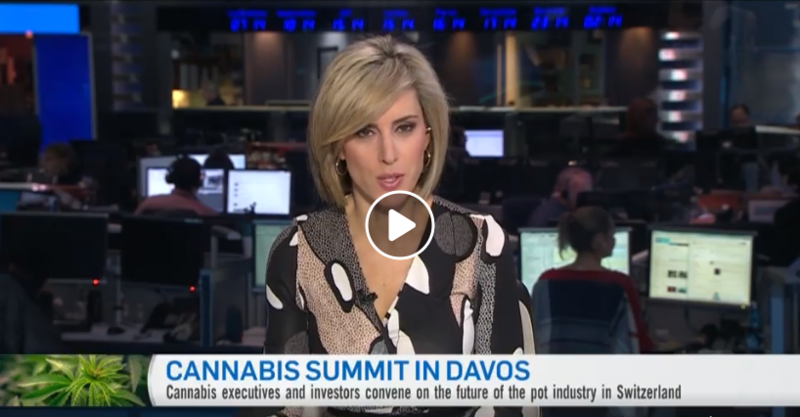 “I think, I hope, that we can help change some minds.” Even at Davos, there are early signs that stigma and attitudes are starting to thaw, driven in large part by the economic and social benefits cannabis represents. Given the sentiment of the global community with regards to cannabis, it’s likely that Canada Cannabis House at Davos is just the beginning. The energy and enthusiasm entrepreneurs have for change is something the CSE is fortunate to encounter on a regular basis. Regardless of which sector or industry growth-stage entrepreneurs happen to be in, they are collectively immersed in bringing their vision of the future into being. With that backdrop in mind, the second edition of the Extraordinary Future conference took place in Vancouver on September 19th and 20th and offered the opportunity for thought leaders, investors and entrepreneurs to converge and explore the ideas and technologies driving innovation and growth across the economy. Like last year, this year’s show was produced by Cambridge House International and featured an impressive roster of exhibitors, speakers and panelists covering forward-looking topics such as quantum computing, blockchain, finance, eSports and biotech just to name few. In true entrepreneurial fashion, this year’s show sought to do something ambitious. 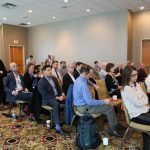 Building on last year’s positive results, the 2018 conference was extended to two days instead of one and had more speakers, networking opportunities and covered more innovative topics than the inaugural show last year. Attendance was also strong this year. With over 2000 attendees coming to the show itself. Like all powerful ideas today, however, the impact of the show has only begun to take shape. With almost 50 videos from the conference capturing conversations with panelists and presentations by entrepreneurs, the online reach of Extraordinary Future will continue to ripple outward for months to come. 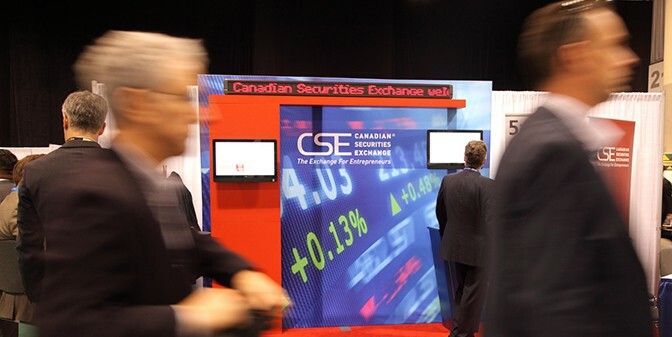 As the title sponsor for Extraordinary Future, the Canadian Securities Exchange was actively visible at this year’s show on stage as well as around the exhibition floor. 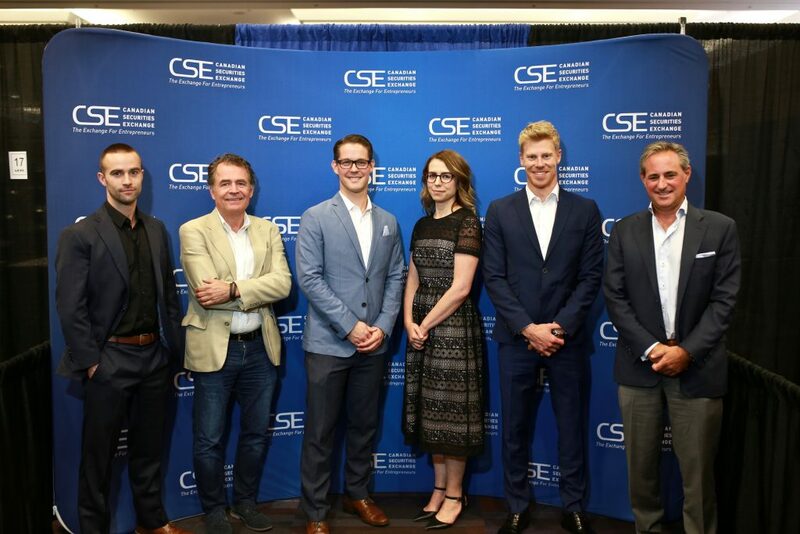 On stage, the CSE cast the spotlight on blockchain – a technology that has the potential to reshape how financial transactions and services are delivered. 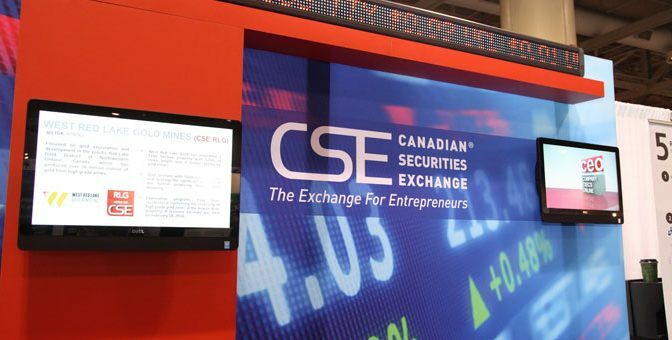 Last year the Canadian Securities Exchange became the first exchange in Canada to announce it would enable trading of tokenized securities in conjunction with the launch of a blockchain-based clearing and settlement system. 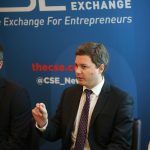 To that end, CEO of the CSE, Richard Carleton spoke with Dean Sutton from Northstar Venture Technologies Inc. in a fireside chat on the role that distributed ledger technologies will play in capital markets and, in turn, how capital markets can prepare for a significant step change in the investing ecosystem. Included in that discussion was the CSE’s tokenized security program and further details on the clearing and settlement engine. On day two of Extraordinary Future, James Black, VP of Listings Development, moderated a panel discussion on the future of blockchain and the capital markets. Featured on the panel were Dean Sutton of Northstar Venture Technologies, Zayn Kalyan of Trackloop Analytics Corp. and Shone Antsey of Blockchain Intelligence Group. 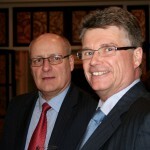 The CSE was also visible on panel discussions and around the show floor. 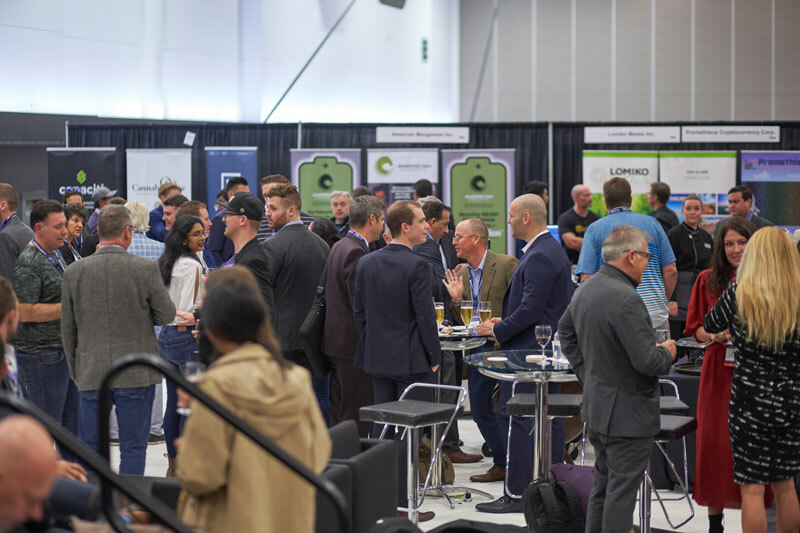 Nine exhibitors listed on the CSE and representing a diversity of sectors and technologies – including several companies working on technology to innovate the fast-moving cannabis sector – were on hand to showcase their companies. 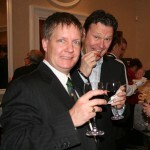 Check out the CSE’s Facebook page for more pictures from around the show floor. Extraordinary Future also featured panelists and presenters on topics with massive implications to the way in which live our lives. 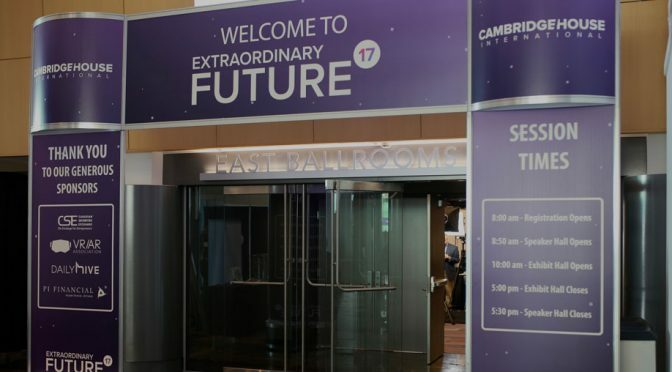 Extraordinary Future was not only about close-to-market opportunities like augmented reality or quantum computing, the show also gave space to ideas and technologies that are on the cutting edge of the innovation conversation. The panel on hydrogen-powered autonomous underwater vehicles, for example, illustrated how advances in clean fuel, telemetry and machine learning are likely to lead to many fascinating permutations and applications of these technologies in the future. Of course, it’s one thing to dream big, but another to turn those grand visions into real products or solutions, which is where another key feature of the conference steps in, namely investment capital. 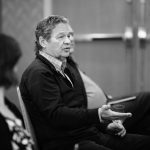 As with last year’s show, there were several keynote presentations focused on where investment capital can play a role in helping to fund and grow ground-breaking companies. The deal room was a central part of the show floor design, with the fishbowl-style setup enabling attendees to watch in real-time, the organic process of deals happening between investors and entrepreneurs. 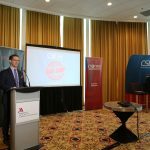 Another favourite of this year’s show was the “Off the Radar” pitch competition, which took place on the first day and featured technology entrepreneurs from healthcare, eSports and caregiving. 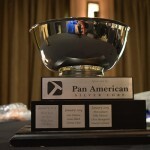 The competition featured a panel of distinguished investors and entrepreneurs as well as a top prize of media services valued at $50,000. Amir Heyari, founder of Diabits, took top spot in the competition describing machine learning and its application to healthcare data systems in the management of diabetes. Suffice to say there was lots to take in at this year’s show. Entrepreneurs of all stripes demonstrated the creativity and innovation that is alive and thriving here in Canada and the impact it is having across the globe. This year’s show reiterated a basic tenet of growth stage opportunities: that innovators and capital markets will have to work hand in hand to bring game-changing technologies to market. Another point that this year’s show reinforced is the value of giving bold ideas (and the entrepreneurs putting them forward) a platform to showcase their stories. 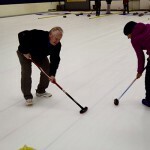 For the Canadian Securities Exchange, one of the best things about working towards an extraordinary future is that we look forward what every day brings. Stay tuned for more content and see you in 2019! CSE had the pleasure and honour of visiting the beautiful country of Israel from November 5th to 10th. 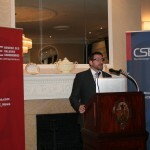 The visit was a collaboration between CSE, OTC Markets, and OTC Israel. 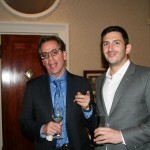 Also joining CSE on the trip were Bernard Pinsky of Clark Wilson LLP, and David Danziger of MNP LLP. 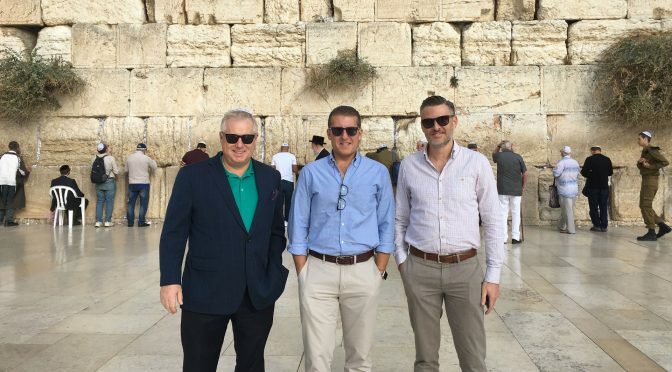 One of the primary goals of the visit was to connect with the Israeli business community and gain a deeper understanding of the capital markets needs of their world-class medical and technology startup ecosystem. On the docket for this trip were meetings with local business influencers including funders, law firms, accountants, and advisors. Within just a few interactions, however, it became readily apparent that there was a high degree of alignment between the Israeli start-up ecosystem and the Canadian capital markets. 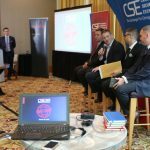 The ability of the CSE to serve as a conduit for North American public venture capital was a message that resonated throughout many of the interactions during the visit. Nowhere was this more evident than at the “Raising Capital and Taking your Company Public in North America” session which attracted a full room of technology company operators and various professional advisors. Engagement during the event was extremely encouraging and the wealth of follow-up and follow-on interest has set the stage for continued efforts to explore building bridges in the future. However, the most encouraging insight from the trip was the demonstration of intellect and inspiration driving many of the projects that we had the pleasure of reviewing. 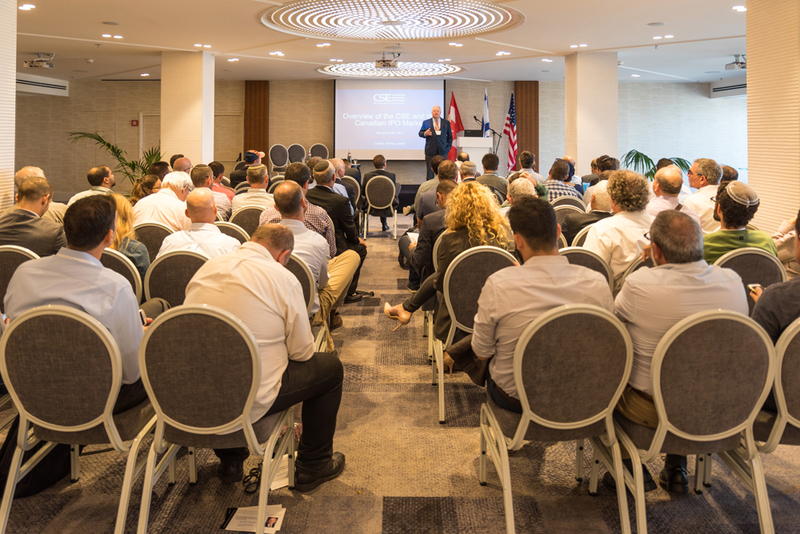 As the Exchange for Entrepreneurs, it was clear to the CSE team that the entrepreneurial spirit and drive were thriving in Israel’s startup communities and these were also responsible for advancing many of the projects we reviewed. Whether it was an innovative application of cannabis oils, crowdsourced intelligence and collaboration using SAAS, or surgical implants, there was no shortage of innovation on display during our short stay. 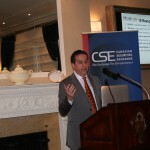 CSE looks forward to its next visit to Israel which will undoubtedly occur in the very near future. We look forward to continuing to build bridges with the “Startup Nation” and are once again appreciative of the positive response and hospitality shown during our visit. To view more pictures and highlights from our visit, click here. Vancouver is no stranger to bold ideas. Home to the internationally renowned TED conference since 2014, another conference focused on the pursuit of big ideas has now also come to Vancouver. 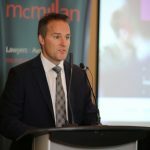 The inaugural Extraordinary Future Conference (XF), launched this past September, was a joint initiative by the Canadian Securities Exchange and Cambridge House International to shine the spotlight on the robust technology scene in Western Canada and to highlight revolutionary technologies that will help to shape many facets of society in the years to come. Whether it was the latest developments in personalized medicine, the seismic shift in financial technology being caused by blockchain, or the advancements in virtual and augmented reality, there was no shortage of fascinating and engaging content for attendees to take in at this year’s show. 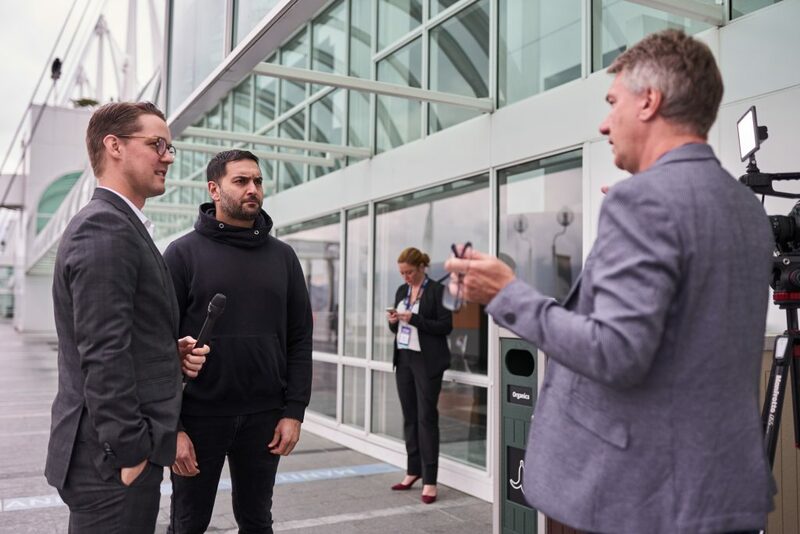 Held at the beautiful Vancouver Convention Centre, the first edition of the Extraordinary Future conference brought together over one thousand attendees, including investors, technology entrepreneurs, capital markets professionals as well as other stakeholders working in and supporting the innovation economy. 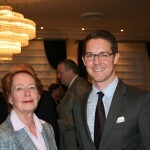 Additionally, there were 33 guest speakers as well as 26 companies representing a variety of technology-driven sectors. As a technology investment conference, an important objective of this event was to showcase both public and private companies and the entrepreneurs working on cutting-edge technologies. 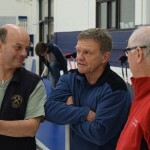 It was also especially encouraging to see the number of organizations and entrepreneurs present at the show that were located in the Lower Mainland or in Western Canada. 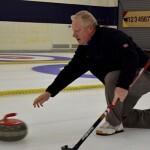 Many of the industries featured at this year’s show were either growing in popularity or beginning to hit their stride, and as such, the enthusiasm around these technologies was palpable. That said, most of the technologies being discussed at this year’s show are still not mainstream. As such, it was incredibly valuable to have assembled thought leaders and entrepreneurs who are actively working in these areas to explain the state of their respective industries, and to highlight for attendees, where there might be opportunities for investors to engage. Below are highlights from topics covered during panel discussions that took place at this year’s show. 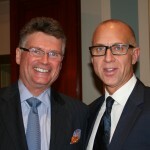 The conversation around the role of technology and how it is shaping healthcare was a fascinating one. Moderated by Dean Sutton, CEO of Victory Square Health, panelists Dr. Brendan Byrne (TELUS Health), Dr. Tom Elliott (Personalized Biomarkers), Rashid Ahmed (BioMark Diagnostics) and Norma K. Biln (Augerex) provided a variety of perspectives on how technology can deliver a more personalized and customized approach to healthcare delivery. In particular, several panelists highlighted the role that detection technology will play in recognizing health issues as well as how technology can help intervene at a much earlier stage in a disease to facilitate better outcomes. One of the hottest topics of discussion at the Extraordinary Future conference this year was blockchain. As part of a broader discussion on the evolution of financial technology, blockchain has the power to radically shift the landscape of the financial ecosystem. 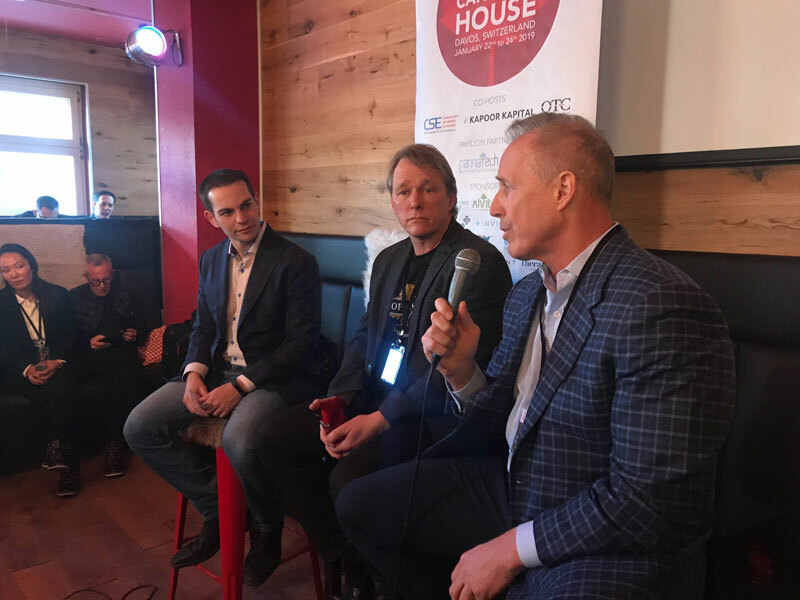 Moderated by Blake Corbet, the Head of Technology and Healthcare Investment Banking at PI Financial, there was a capacity crowd on hand to hear from panelists Guy Halford-Thompson (BTL Group), Harry Pokrandt (Hive Blockchain Technologies), Marc van der Chijs (First Block Capital) and Alex Tapscott (NextBlock Global). It was clear from the perspectives shared by the panelists that the move to the ‘internet of value’ is still in its early days, but that momentum is strong and changes are occurring at a rapid pace. When it comes to the rapidly evolving world of visual content development, Vancouver stands out as an international leader. The combination of talent in the visual effects industry and entrepreneurial culture have created an exciting environment for leading edge VR/AR technology and content to be developed. The panel discussion on the future of VR/AR was moderated by Dan Burgar, President of the VR/AR Association in Vancouver and Director of Business Development at Archiact and included panelists Nancy Basi (Vancouver Economic Commission), Anne-Marie Enns (Archiact), Kevin Oke (LlamaZoo) and Ryan Peterson (Finger Food Studios). A key takeaway of this discussion was that the growth of the VR/AR technology is already taking place in the enterprise market and wider consumer adoption is on the horizon. This insight was also a takeaway from the AR/VR session hosted by Equity.Guru’s own Chris Parry who profiled several choice companies including INVRS3D Cinematic Reality, uForis VR, Ampd GameTechnologies and Ydreams Global Interactive. One of the biggest challenges to overcome in becoming a leader in the innovation economy is making capital accessible to entrepreneurs. 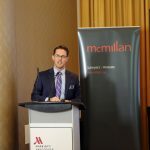 James Black, VP of Listings Development at the Canadian Securities Exchange, moderated the panel discussion on the intersection of technology and finance, which spoke to the different strategies available to early-stage technology companies that require capital to scale their growth. On the panel were Aimee Gagnon (Dojo Card), Bill McGraw (Wavefront), Jamie Brown (Canaccord Genuity) and Tom Rossiter (RESAAS) each of whom lent their own perspectives on how technology entrepreneurs can navigate the growing number of options help finance their growth. For its part, the CSE recognizes the important role that public markets can play in driving capital formation which in turn can help early-stage companies scale up and compete globally. The scope of Extraordinary Future, however, extended beyond just the public capital markets sphere, a recognition that innovation ecosystem is diverse and needs support in a number of different aspects to fully succeed. As this year’s show clearly demonstrated, bringing together a dynamic mix of industry analysts, investors, technology entrepreneurs, and a diverse selection of public and private companies working to advance the innovation economy, is fertile ground for exciting conversation, connections and catalysts. In the leadup to next year’s conference, it will be interesting to see how many of the bold predictions and forecasts made at this year’s show unfold. One thing is for certain, however, and that is for organizations such as the CSE, the future of Canada’s innovation economy continues to look extraordinary. As many seasoned mining professionals know, two of the key ingredients to survive the often-harsh world of mining and exploration are hope and enthusiasm. 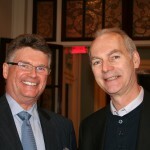 At this year’s PDAC conference in Toronto, however, there was something more in the air – a feeling that has been missing for some time – excitement. Despite political uncertainties at the start of the year, prices for commodities and precious metals have rebounded enough compared to last year to give the mining and investment communities many more reasons to smile and, most importantly, to make deals. And it appears that deals are happening. In the fourth quarter of 2016, for example, CSE-listed companies in the mining sector managed to raise over $30 million signaling that deal flow, while modest, is improved over the same point a year prior for junior and small cap companies. 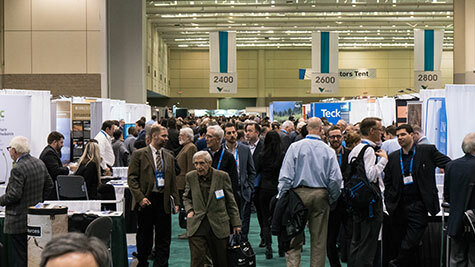 With the PDAC typically drawing in well over 20,000 delegates (this year they pulled in 24,000), hundreds of exhibitors and dozens of sessions and networking opportunities, it’s not enough to walk the walk – to get the most out of this show, companies and investors must also talk the talk. 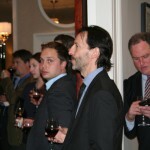 In recognition of how important (and daunting) the PDAC can be for small cap mining firms looking to raise capital or for investors trying to navigate opportunities, the CSE, along with several like-minded event partners and sponsors, sought to help by putting the right ingredients in place to enable entrepreneurs and investors to have a positive PDAC experience. Whether it’s polishing a pitch or simply mastering the subtle art of balancing finger foods, a drink and a conversation with an industry colleague, networking with the right people at the right time makes all the difference to an entrepreneur. 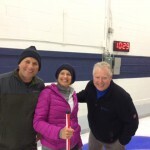 Of course, it helps to get a head start. 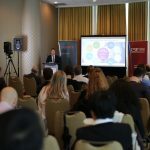 To that end, the CSE along with its event partners, aimed to help PDAC attendees – as well as those who might not be able to attend the convention itself – connect with one another at two pre-PDAC sessions, known as PreDAC, in Toronto and Vancouver. 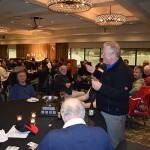 In each case, not only was there a solid turnout, but attendees were genuinely excited to connect and discuss the industry and outlook for the near term ahead of the whirlwind that is the PDAC. 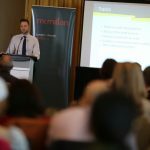 Based on the level of interest and enthusiasm with attendees of these events, PreDAC sessions were on point in getting folks in top form for PDAC 2017. 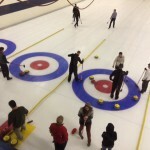 In Toronto, PreDAC was held at the fun East Thirty-Six resto-bar. Co-hosted by OCI Group, the session included insightful presentations from Dr. Francis Manns, Consultant & Independent Geologist; Krystal Ramsden, Mining Analyst at Extract Capital; Peter Campbell, Investment Banker at OCI Inc; Lawrence Devon Smith, Consulting Engineer; and Katherine Fedorowicz, VP Marketing & Investor Relations at Red Cloud, Klondike Strike Inc. To view more images from PreDAC Toronto, check out the Facebook album here. 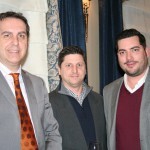 PreDAC Vancouver took place at event co-host Clark Wilson LLP’s scenic downtown offices. Joe Mazumdar, Analyst and Co-Editor at Exploration Insights and Matt Zabloski, Founder and Lead Portfolio Manager of Delbrook Capital, provided attendees with their perspectives on what to look at when evaluating a mining company as well as the investment landscape for natural resources respectively. 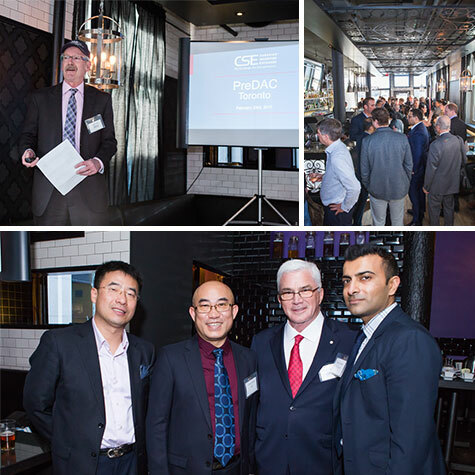 To view more images from PreDAC Vancouver, check out the Facebook album here. 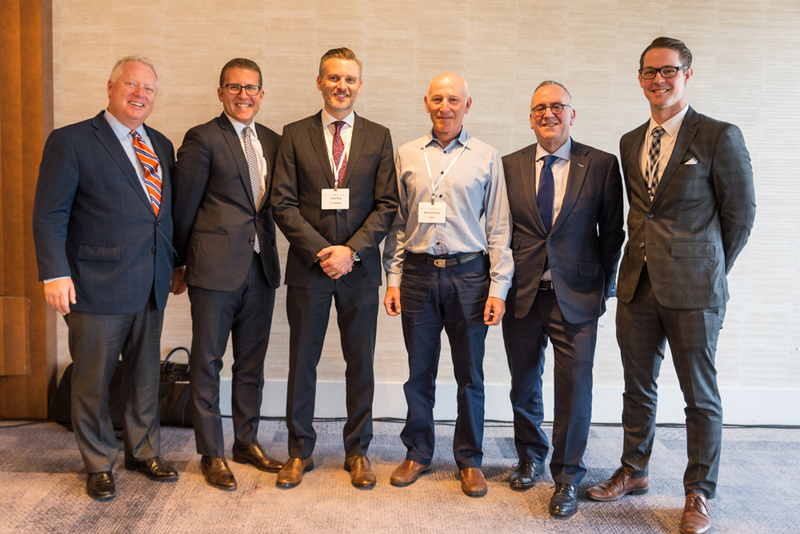 Following the presentations at both the Toronto and Vancouver events, attendees enjoyed networking opportunities, appies and drinks with industry peers, investment professionals and others during the networking session. 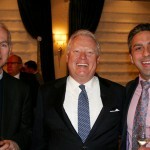 PDAC is always a busy but this year was busier than most for the Canadian Securities Exchange. 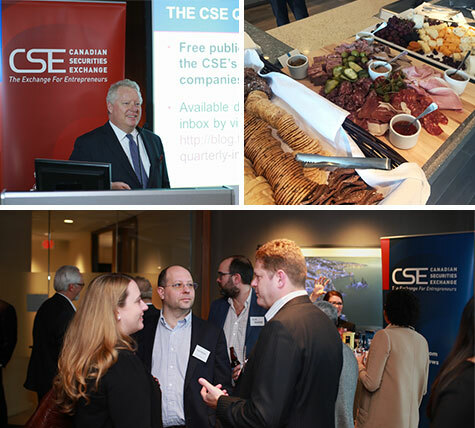 In addition to exhibiting at the Investor’s Exchange, the CSE hosted the increasingly popular PDAC Investor Luncheon, launched a special edition of the CSE Quarterly and co-sponsored an evening networking reception. 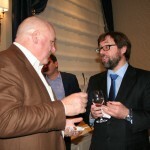 All this in addition to the many meetings with investors, entrepreneurs and other industry professionals in and around the convention. 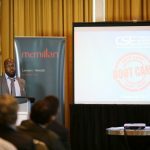 The PDAC Investor Luncheon continued its growth in both attendance and popularity again in 2017, making it a must-attend event for those interested in the CSE as well as companies listed on the CSE. 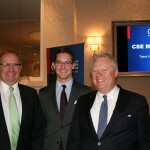 In addition to a delicious buffet, attendees were treated to quick pitch-style presentations from several CSE-listed company executives, as well as a keynote special presentation on raising capital in the US by guest speakers Kenneth Sam from Dorsey Whitney LLP and Chris King from OTC Markets Group. 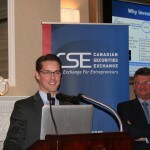 On the exhibition floor, the infamous CSE booth and lectern made their return to the PDAC. 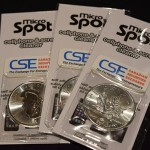 With a larger crowd at this year’s show, there was a noticeable bump in traffic to the CSE booth. In addition to the exchange itself, the CSE was also well represented around the convention floor with nine CSE-listed companies exhibiting. 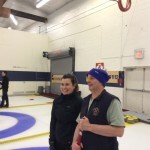 It wasn’t all work at the PDAC. CSE team along with friends from MNP LLP and Aird & Berlis LLP got together at Taverna Mercatto to celebrate another successful PDAC. 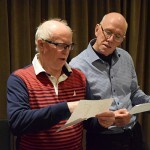 This event, like many others around the show, was also busy and offered up the chance to recount stories of the day and to make plans for future meetings. 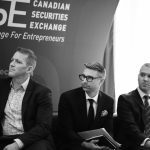 PDAC 2017 was undeniably great for the CSE as well as for CSE-listed issuers and the growing number of investors who are interested in the Exchange for Entrepreneurs. 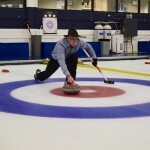 As this world-class event continues to grow, so too does the importance of getting the most out of the time spent at the show. 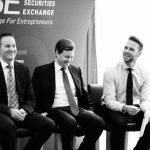 Judging by the response from industry experts, investment community professionals and investors who attended the CSE’s events, the extra support these activities provided might just be the extra ingredient needed to stay a step ahead. For many entrepreneurs, the decision to go public is a significant milestone. 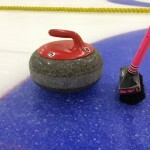 Getting to that point, however, requires sound preparation and the right partners around the table. Fortunately for those seeking to go public in Canada, there is now more choice, innovation and value than there has ever been in the past. 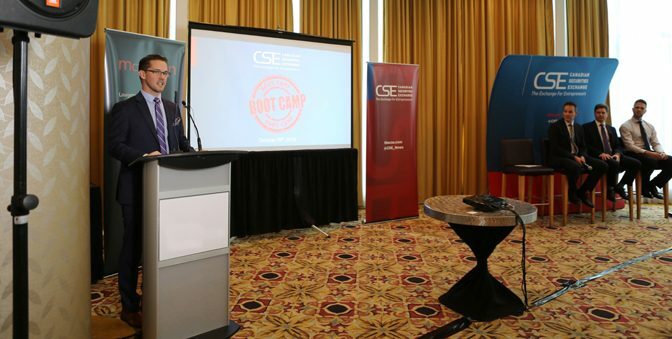 To help entrepreneurs navigate the journey to going public, the Canadian Securities Exchange organized their first ever Go Public Boot Camp. 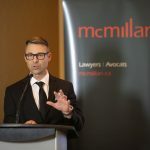 This event, co-sponsored by McMillan LLP, brought interested entrepreneurs together with a great team of thought leaders from across the capital markets landscape who offered their perspectives on important components of the public listing process. 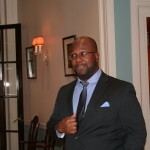 Collectively, these presenters covered topics relevant to the process of taking a company public. Subjects discussed included how to properly prepare financial statements for a public listing, the importance of working with right brokers, what it takes to successfully structure a capital raise and much more. To view the full set of presentations, check out the videos below or visit the CSE YouTube channel here. 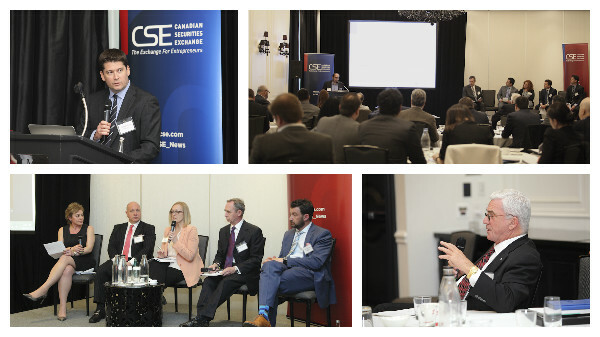 Alongside the presenters and panelists were members of the CSE team including Mark Faulkner, Vice President Listings and Regulation, who provided an in-depth look at the requirements and better practices for successfully listing on the CSE. Unlike a fitness boot camp, where the goal is to run around, attendees of the Go Public Boot Camp were glued to their seats. The thoughtful speakers in combination with the Q&A session definitely resonated with the audience, who were keenly interested in hearing about the shifting landscape of capital markets and how to overcome hurdles to raising capital in Canada. 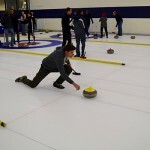 All entrepreneurs know that learning ‘on the job’ comes with the territory. 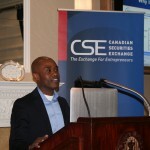 For attendees of the CSE Go Public Boot Camp, in addition to learning what it takes to go public, the more valuable lesson learned was how to prepare to do so well. That is a distinction that can save time, money and ultimately bring entrepreneurs one step closer to reaching that significant milestone. Whether it’s trekking through desert badlands, exploring the depths of the ocean floor, or facing thousands of investors in one of the world’s largest mineral and exploration conferences, all successful natural resource and exploration entrepreneurs know tenacity is an important quality to have. 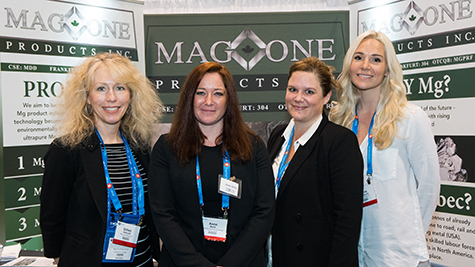 In spite of the still turbulent times for many mining and exploration linked companies, this year’s PDAC Convention showed that tenacity is alive and well with over 22,000 attendees converging in downtown Toronto and bringing an abundance of buzz along with them. Though excitement levels were noticeably higher than past years, the most precious resource for the mining and exploration crowd seemed to be accessing low cost investment capital. 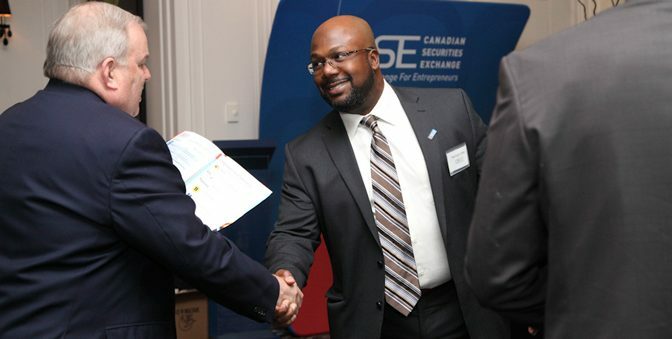 Fortunately, for a growing number of firms, the CSE’s networking events at the PDAC provided great opportunities for increased exposure, valuable connections and all-important deal-making. 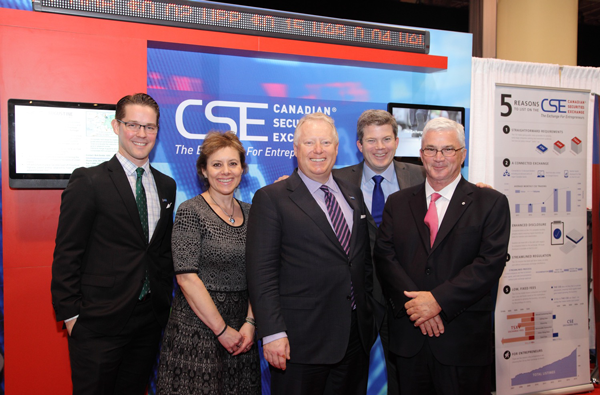 As part of a series of exciting upgrades planned for the upcoming year, the CSE unveiled its new and exciting booth that featured a much more dynamic view of Canada’s fastest growing securities exchange. Taking some time at PDAC 2016 for photos at the new CSE booth. The new booth came fully equipped with a ticker feed of CSE-listed company quotes as well as two video screens that showcased the growing number of CSE-listed companies including those featured on BTV and BNN. 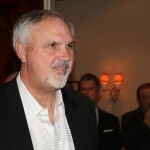 Of course, the added attention was also on the fact that the exchange has seen itself climb to well over 300 listings. 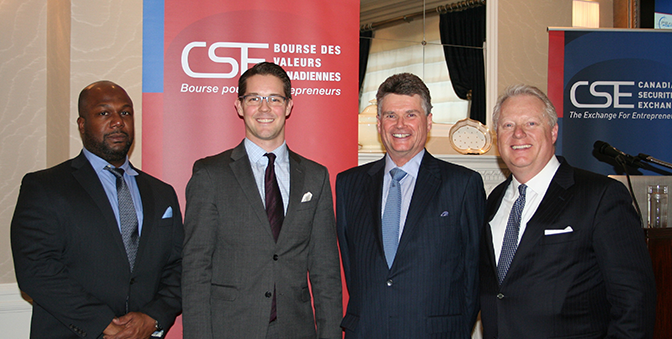 The CSE team also had a great time meeting investors, big and small. One thing that definitely stood out from these conversations was the optimism and excitement from both the investors in attendance but also from the fellow exhibitors on the conference floor. 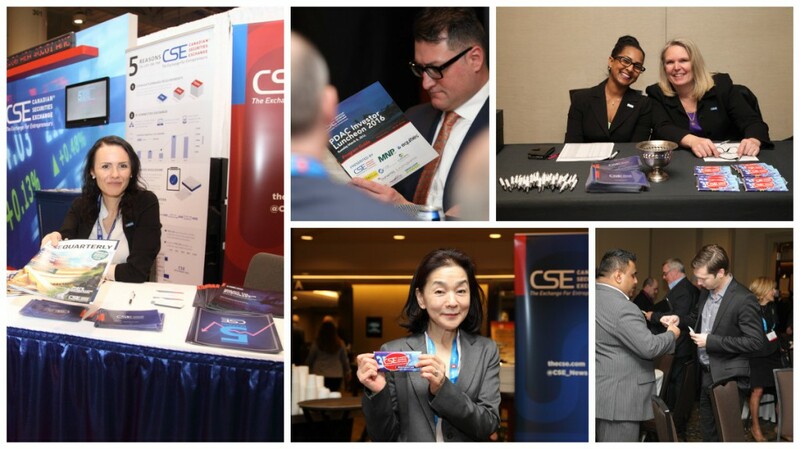 One of the biggest highlights for the CSE team was getting a chance to have listed issuers tell their stories as well as meet and interact with decision makers and investors of all sizes at the two networking events. 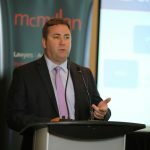 The lunch session, which took place at the Intercontinental Hotel and which was jointly sponsored by a number of partners, including MNP LLP and Equities.com, saw a record turnout. 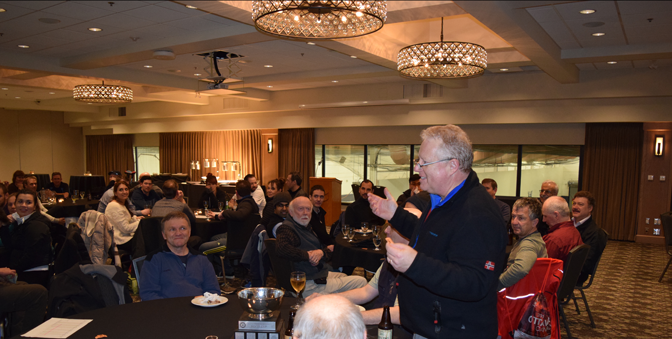 While the chance to grab a great meal was definitely a pull, the more than 150 attendees of this event were treated to 13 company presentations, prizes and updates on the latest news from the CSE. 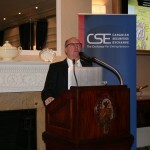 CEO of the Canadian Securities Exchange, Richard Carleton, addresses attendees at the PDAC luncheon. 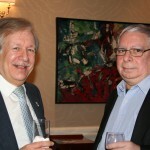 In addition the great food and “food for thought”, there were also numerous opportunities for new connections to be made and existing ones to be refreshed. While a recent bump in commodities prices heading into the conference certainly helped contribute to the positive mood, having a bear-market chocolate bar to bite into also helped add some levity. In addition to the lunchtime session, this year the CSE along with event co-sponsors Aird & Berlis LLP, MNP LLP, Euro Pacific Canada and Invest Barbados held an evening networking reception at Taverna Mercatto. While this was the first year in which this event was run, the support and enthusiasm for the post-conference get together will definitely be something to look forward to returning for future conventions. 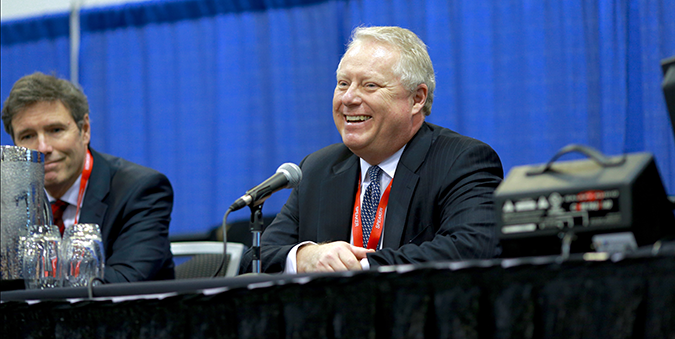 After the events were all said and done, this year’s conference continues to show that the resource sector, both here in Canada and around the world, is resilient. 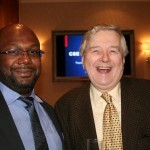 For the CSE, this year’s PDAC couldn’t have gone better. With exceptional turnouts to the networking events, great feedback on the exhibition floor and accolades from clients, investors and those looking to join the Exchange for Entrepreneurs, it looks like there are even more reasons to look forward to returning again next year. 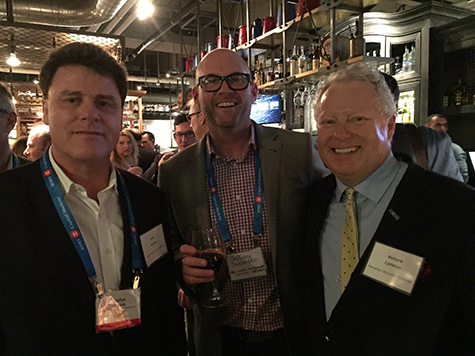 Click the gallery below to view pictures from the CSE events at PDAC 2016. 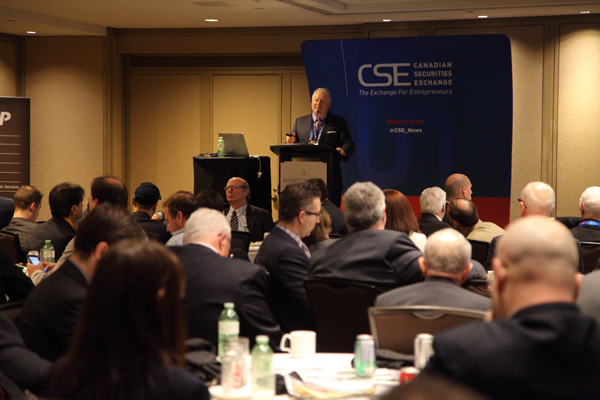 With events in Toronto, Vancouver and even as far away as Hong Kong, the CSE team hit the ground running in the first month of 2016. 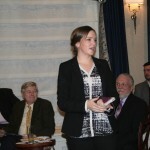 Here are some brief highlights from the CSE’s most recent adventures. To succeed in the mining and exploration space takes tenacity and resilience and, it seems, this year has definitely been a test of that resolve. 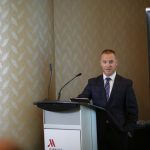 Fortunately for the investors and companies that attended this year’s Vancouver Resource Investment Conference (VRIC) there were many interesting stories that highlighted the challenges and opportunities in the natural resource sectors. 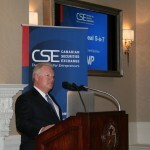 In addition to exhibiting at this year’s conference, the CSE was also a sponsor of VRIC and Richard Carleton, CEO of the Canadian Securities Exchange, participated in a panel discussion with John McCoach of the TSX Venture on the role that securities exchanges can play in helping listed companies weather the current economic storm. 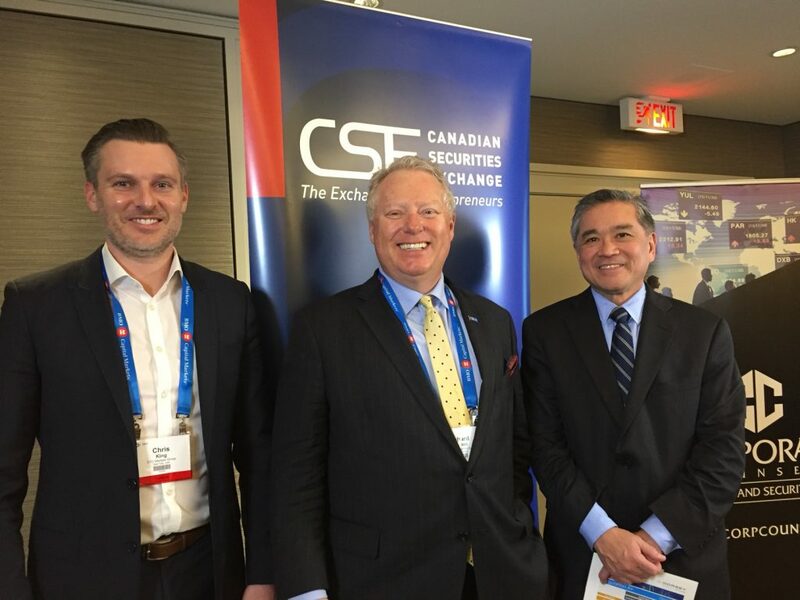 Richard Carleton (centre), CEO of the Canadian Securities Exchange along with John McCoach (left) of the TSX Venture Exchange on a panel discussing Canada’s capital markets. 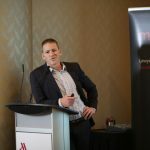 Among the topics discussed, one that was certainly on the minds of many in attendance was the ability of many junior mining and exploration companies to navigate a challenging moment in their economic cycle. For its part, the CSE referenced its commitment to streamlining both the costs and burden associated with maintaining a public listing as one of the ways to lower the cost of capital for junior companies. 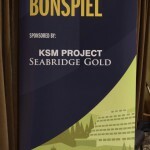 Overall it was another great opportunity to connect with investors and entrepreneurs, as well as to showcase how companies listed on the CSE are benefiting from an efficient public listing model. 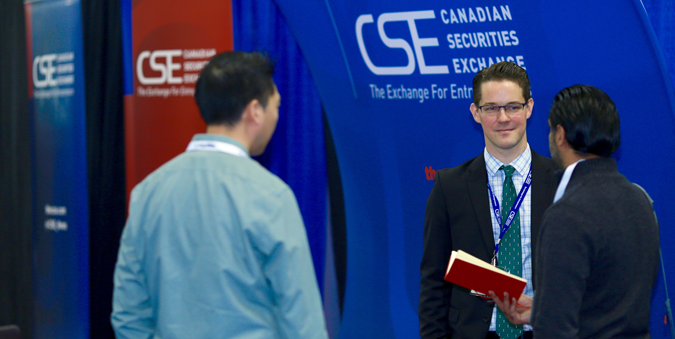 James Black, VP of Business Development, fielding questions at the CSE booth at VRIC 2016. 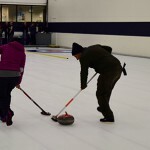 What happens when you give a group of mining and exploration professionals a sheet of ice, some brooms and the promise of a great after-party? 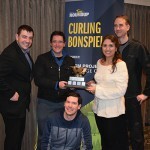 Well a few folks from the CSE found exactly what at this year’s AME Bonspiel held at the Hollyburn Country Club in West Vancouver. 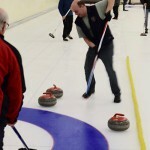 The AME Roundup and accompanying curling event were great opportunities to connect with the mining and exploration community and take the pulse of the industry at a challenging time in its economic cycle. Encouragingly, there were many bright spots, including the fact that demand for the AME Roundup remains strong from both industry participants and exhibitors as well as attendees. Despite the challenges in other sectors, technology has been one area that has continued to attract interest and investment from various markets. 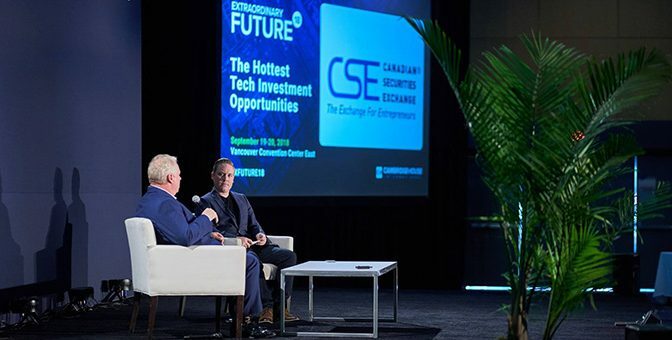 Against that backdrop, the Cantech Investment Conference in Toronto brought together a number of key players in the tech investment scene from big names in VC to dozens of innovative tech companies looking to showcase their new and sometimes disruptive solutions. Several CSE-listed firms were among the firms exhibiting this year. Specifically HealthSpace Informatics Ltd. (CSE:HS), NuRAN Wireless Inc. (CSE:NUR), Plus8 Global Ventures Ltd. (CSE:PGT) and PUDO Inc. (CSE:PDO) were great examples of the kinds of innovative technology firms helping to fuel the growth at the Exchange for Entrepreneurs. To stay up to date on where to meet team members from the CSE or to find out about upcoming events of interest to entrepreneurs, be sure to visit the CSE events calendar often. 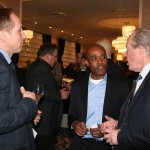 If you’re in Toronto this March, stop by the PDAC and meet the CSE team at our booth or at our special lunch reception. 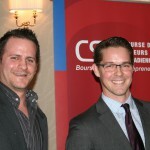 Even though February in Montréal can be quite chilly, the CSE’s 5 á 7 networking reception at the prestigious Mount Royal Club was a hot spot of company pitches, great food & wine and innovative entrepreneurs. 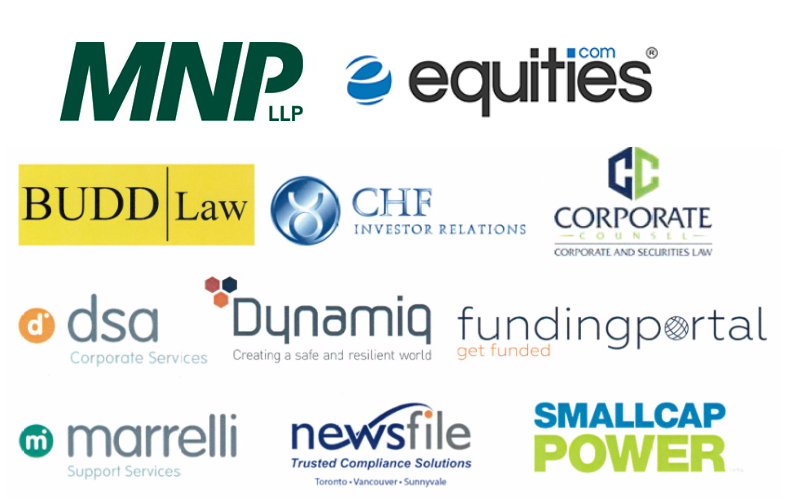 This recent networking reception, which was co-sponsored by MNP LLP, brought together entrepreneurs, investors, and key decision makers within the local investment community. 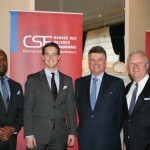 Not only were they able to meet and greet with one another but there was also the opportunity to meet with members of the CSE team including CEO of the Canadian Securities Exchange, Richard Carleton; VP Listings Development, James Black; Quebec Representative, Scott Pritchard and Director of Listed Company Services, Barrington Miller. 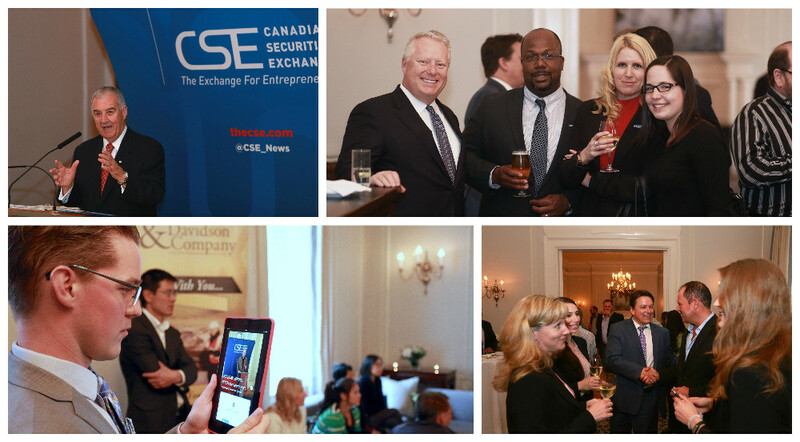 Browse the gallery below for photos from the event and be sure to check out the events calendar or follow the CSE on Twitter for more information on upcoming networking events.